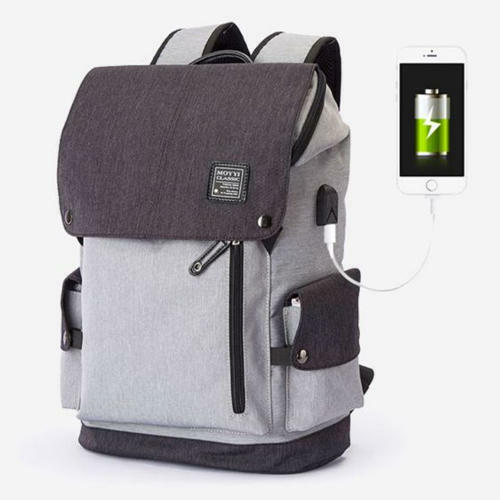 With honest intentions to improve the standing we have earned in this arena, we are offering a distinct collection of Backpack With USB Charging Point Bag. Established in the year 2014, at Mumbai (Maharashtra, India), we, “Sailani Gifting”, are engaged in manufacturing a superior quality range of Leather Bag, Sling Bag, Promotional Gifts, Corporate Gifts, etc. These products are extensively appreciated for features such as impeccable finish, elegant designs, eye catching appearances and high quality standards. We offer our product range in various colors, designs and patterns as per the precise requirements of clients at affordable prices.